The Oil Rubbed Bronze Roller Ball Shower Curtain Hooks add a functional and upscale look to bathrooms with oil rubbed bronze shower fixtures. The stainless steel core and roller balls are plated with a high-quality Oil Rubbed Bronze finish. The roller ball design allows the hooks to effortlessly glide back and forth on curved, straight and custom round shower rods. The pressure clip lock is quick and easy to open and lock for simple, fast installation to save time. The clip lock with the roller ball design ensures that the hooks and the shower curtain/liner stay on the shower rod when quickly pulled open or closed. You and your guest can forget about the days of shower curtains and liners falling off the hooks or rods. 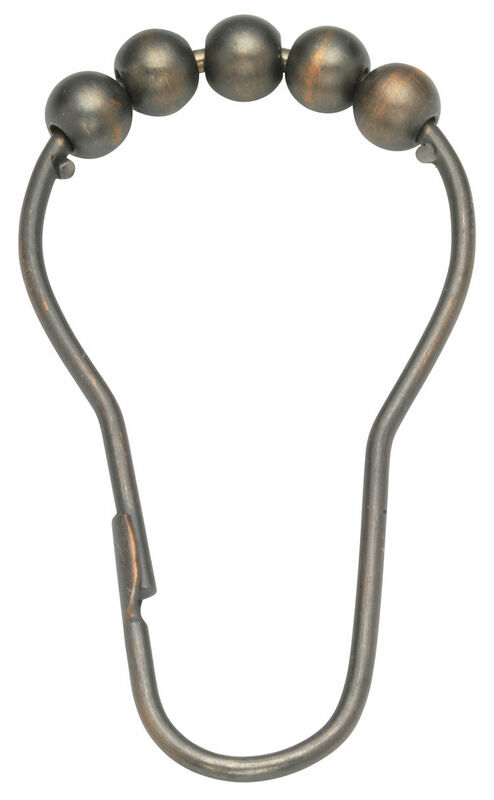 Each roller ball hook set comes with 12 roller ball hooks for standard 60" to 72" openings. These Oil Rubbed Bronze Roller Ball Hooks are available wholesale in bulk packs of 24 hook sets per case with Free Shipping. Stainless Steel Core Construction w/ Oil Rubbed Bronze Finish - Strong, Durable, Long Lasting and Attractive. 12 Smooth Glide Hooks in Each Set - Most shower curtains / liners have 12 hooks holes for hanging. 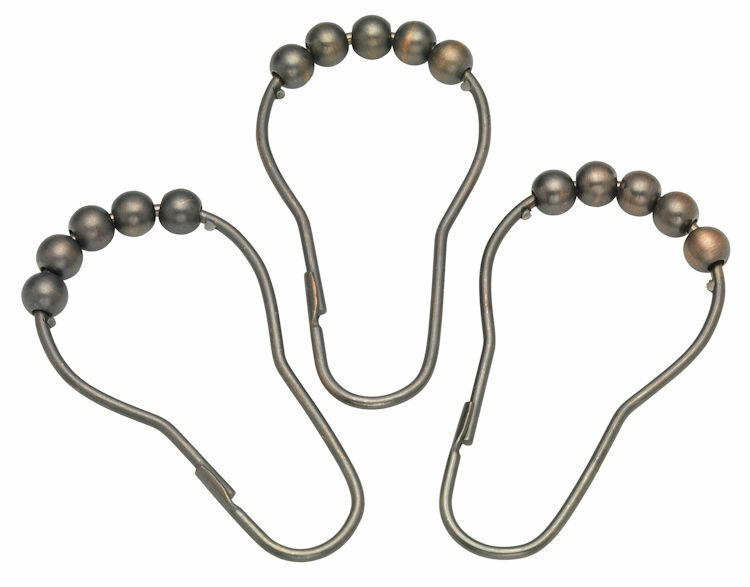 5 large roller balls on each hook - Ensures effortless gliding when opened and closed. Designed to fit up to 1.5" diameter curved, straight, or custom shower rods. Hooks measure 3" from top to bottom. Purchase wholesale by the case of 24 shower curtain hook sets - Each Hook Set includes 12 Roller Ball Hooks.